October « 2017 « Chemline, Inc.
SHANGHAI – (October 13, 2017) – Today, the U.S. Green Building Council (USGBC), the creators of the LEED green building program, announced Dalian Wanda Group, Shougang Group Co., Ltd., and Mr. Cai Fangming as the 2017 Greenbuild Leadership Award recipients. The awards will be presented for the first time in China as part of the inaugural Greenbuild China conference and exposition. The awards ceremony will take place at the conference in Shanghai on Oct. 18. The Greenbuild Leadership Awards recognize exceptional organizations and individuals at the forefront of the green building movement. It recognizes contributions to China and the green building community that work to enhance environmental performance and improve quality of life. Dalian Wanda Group is the world’s largest property company and one of China’s strongest advocates of sustainable building. As a USGBC strategic partner, they are committed to advancing green and healthy buildings and cities through the use of LEED and Wanda’s Huiyun system to support efficient building management. Shougang Group Co., Ltd. is one of China’s largest steel companies and a Fortune 500 company. As a USGBC and GBCI partner, the organization is working to expand LEED in China and advance green building education and workforce development. Through the adoption of LEED and the WELL Building Standard, Shougang Group hopes to achieve a “green Beijing” that serves as a national example of green innovation. Mr. Cai Fangming is a driving force and advocates for the adoption of green building technology that reduces carbon emissions and conserves environmental resources. Under his leadership, the Shanghai Expo Urban Best Practices Area has emerged as a green building innovation and earned the project LEED for Neighborhood Development (LEED-ND) precertification in 2013. To support China’s pivotal sustainability efforts, Greenbuild China will bring together global industry leaders, experts and frontline professionals dedicated to sustainable building. The conference will take place October 17-18 providing two days of inspiring speakers, invaluable networking opportunities, and industry showcases. The conference provides a forum for the green building community to unite and address some of the world’s most pressing issues, including air quality, human health, energy use and global climate change. Workshops will explore the LEED green building program and its impact, as well as other GBCI green business programs, such as WELL and the Sustainable Sites Initiative (SITES) for land design and development. Registration is open and attendees must register at http://greenbuild.usgbc.org/china. Even without the CCP, energy efficiency is still the way forward. The fate of the Clean Power Plan, the federal regulation of carbon dioxide from fossil fuel electric power plants, has taken a turn for the worse this month. The EPA has issued a notice of proposed rulemaking, beginning the process to repeal the rule. The proposal would change the EPA’s interpretation of the Clean Air Act and reflects the position of the current administration that the Clean Power Plan exceeded EPA’s authority. Litigation over this action is certain, and it will feature a debate over the legal limits on EPA regulatory power balanced against the legal mandate for EPA to regulate carbon dioxide as a pollutant endangering public welfare, as found by the Supreme Court in 2009. Whatever the fate of the plan, the U.S. power sector is already shifting toward less carbon-intensive energy sources. The 2017 Sustainable Energy in America Factbook reported that since 2005, the power sector has shrunk its carbon footprint by 24 percent. A new analysis suggests that the sector’s emissions are already on track to meet the Clean Power Plan’s target of 32 percent by 2030, with a projected 27 to 35 percent reduction below 2005 levels. This decarbonization is all without the Clean Power Plan having come into effect—but how? The power sector has been influenced by state policies and shifts in relative costs among energy sources, including cheaper natural gas, which has a significantly lower carbon impact than coal. From 2005 to 2016, according to the Factbook, the U.S. added 78GW of wind, 39GW of solar and 104GW of natural gas, while retiring 49GW of coal-fired power plants. In the void—whether temporary or permanent—left by the federal Clean Power Plan regulation, we will continue to see market forces pushing decarbonization of power generation. Some states will move ahead with steps to accelerate that transition and to use power more efficiently, with approaches ranging from California’s cap and trade program, to a diverse set of states, including Ohio and Illinois, leveraging renewable portfolio standards. Some utilities will continue to increase their investments and transition to lower carbon generation. Under a Clean Power Plan repeal, we will be missing a key, if imperfect, tool to incentivize robust energy efficiency programs in every state. The rule would have allowed states to leverage energy efficiency for credit by avoiding the need for electricity generation and the associated emissions, with special emphasis on low-income communities. Although leading states have adopted policies to push efficiency and its financial benefits to various sectors, other states have lagged, especially those in the Southeast and Midwest. (See, for example, ACEEE scorecards ranking energy efficiency policies in states and major utilities.) Without state and utility structures supporting efficiency, business and residential customers will continue to spend more money on electricity than they need to, and miss out on co-benefits to health and comfort. USGBC is concerned in particular about the disproportionate impact of energy costs on low-income households. The Clean Power Plan story is not over yet, but with or without the plan, we will continue to advocate for strong, effective state and utility policies and programs to drive improvements in energy efficiency that supports jobs, businesses and families. The K–12 school is a great example of how the Connect the Dots program inspires achievements in sustainability. USGBC’s Connect the Dots program challenges K–12 schools across the Washington, D.C., Maryland, and Virginia regions to develop and implement the most creative, effective, no- or low-cost sustainable practices for their schools. Participating schools target projects that aim to lower operating maintenance costs, improve indoor air quality, conserve natural resources and more. Schools are matched with volunteer mentors from the building and design industry to guide project implementation and development. Projects are also registered as part of USGBC’s annual Green Apple Day of Service campaign to contribute to the global impact of increasing sustainability in schools. Registration for both schools and volunteer mentors for the 2017–2018 program is open through October 13. 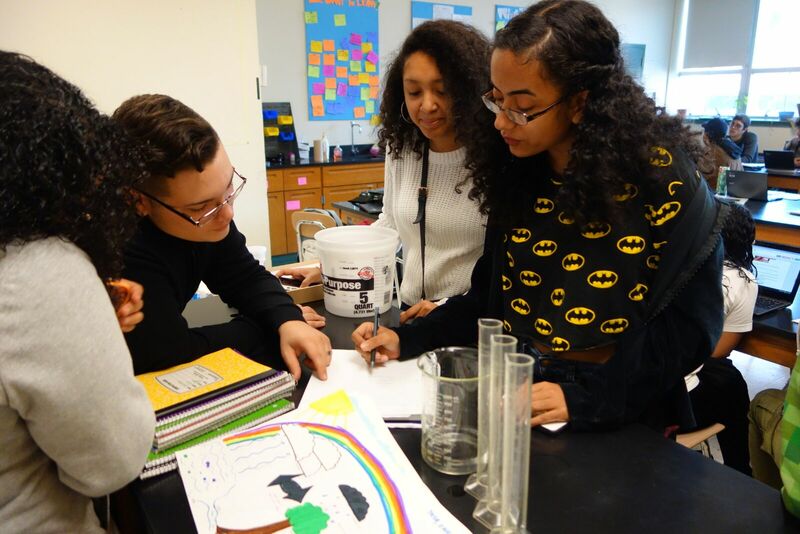 Each spring, the schools that most effectively meet this challenge are recognized for their achievements at a ceremony around the time of Earth Day. In 2016, the Agnor-Hurt Elementary School in Charlottesville, Virginia, was given the Honor Award for their comprehensive approach to promoting sustainability. The school constructed its own learning gardens, using the vegetables and herbs in cooking classes to promote healthy eating. To engage the whole community in this effort, the school organized a Healthy Living Night for students and parents. The Albermarle County School District in which Agnor-Hurt Elementary is located has also been a past recipient of USGBC’s School District Scholarship program and is currently part of a small cohort of school districts using the Arc platform to benchmark, track and take action on sustainability metrics at each school. 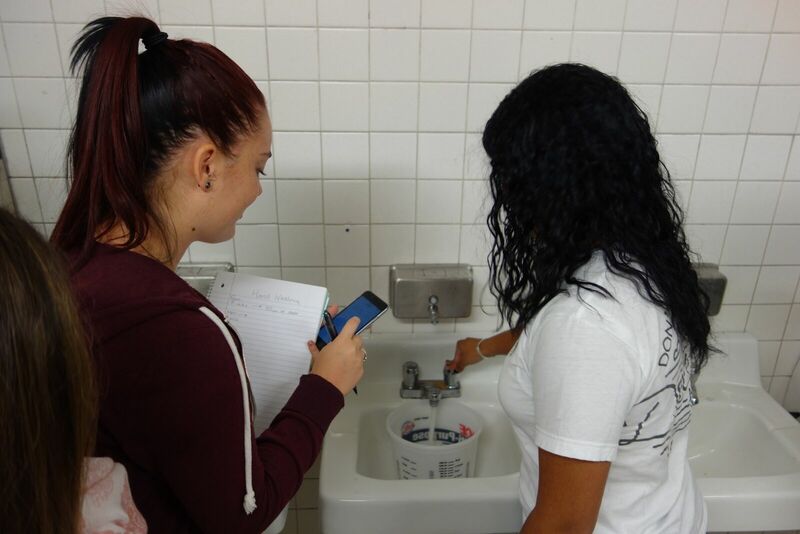 Energy, water, waste and other data can be collected by students through hands-on auditing activities and then incorporated into STEM curriculum for ongoing engagement and action. The data is also used by school personnel to make informed decisions about school improvements. The 2016–2017 Connect the Dots School Champions at Agnor-Hurt Elementary School were Adam Mohr, Courtney Wood, Brittany Mullinex, Marci McKenzie, Michael Thornton and Drew Craft, and their volunteer mentor was Tish Tablan, a national organizer with Generation 180.